The design of the Y chair shows Tom Dixon’s love of experimentation at its best. The shape of the futuristic-looking chair is reminiscent of the letter Y and offers more than an exceptional eye-catcher. Thanks to the Y-shaped backrest both shoulder blades are optimally supported creating a pleasant seating comfort. Not only the shape of the Y chair is extravagant, but also the material impresses with convincing properties. The seat shell made of fibreglass-reinforced nylon absorbs shocks and is also flexible, which contributes to the ergonomics. The four outbound directed chair legs are made of oak, and create an interesting contrast in colour and material. Whether in the office, at the kitchen table or in public spaces: the Y Chair blends into any environment and draws all the attention thanks to its expressive appearance. 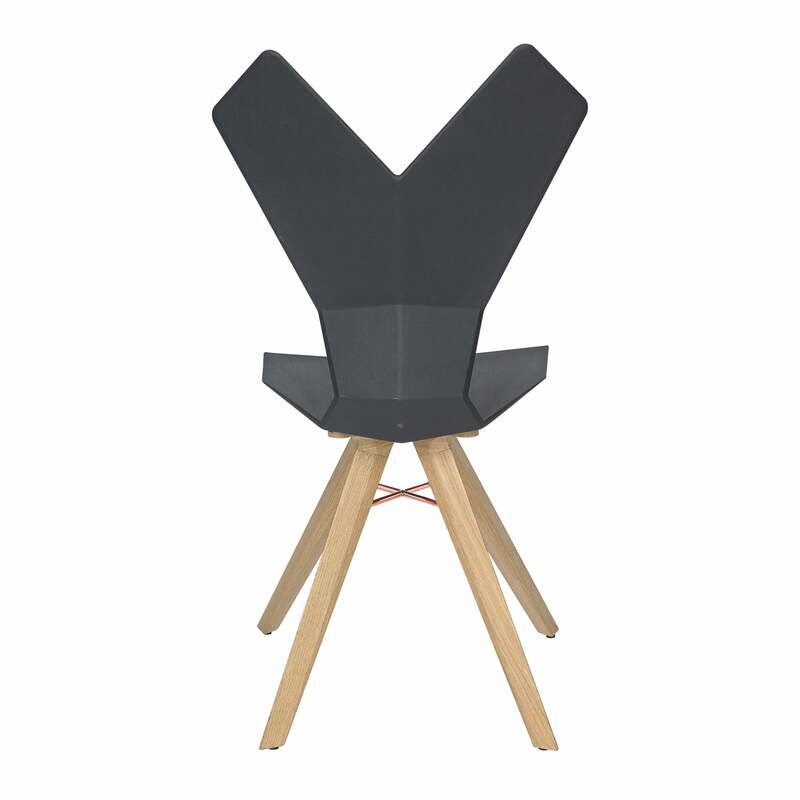 The Y Chair is available with a seat shell in different colours. 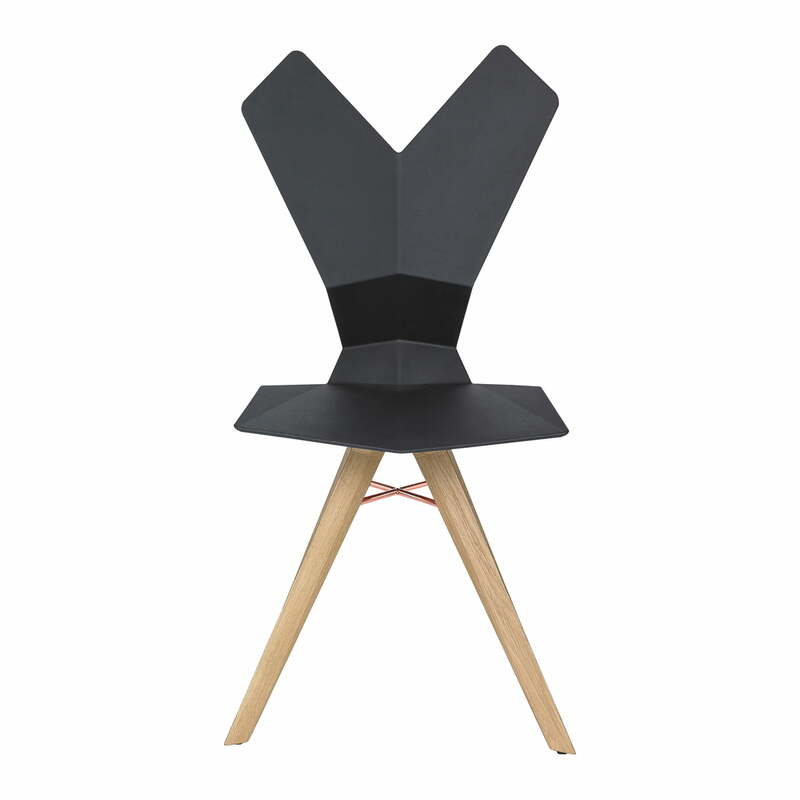 Individual image of the Tom Dixon - Y Chair in black / natural oak. The Y-shaped backrest supports evenly both shoulder blades and provides for comfort. 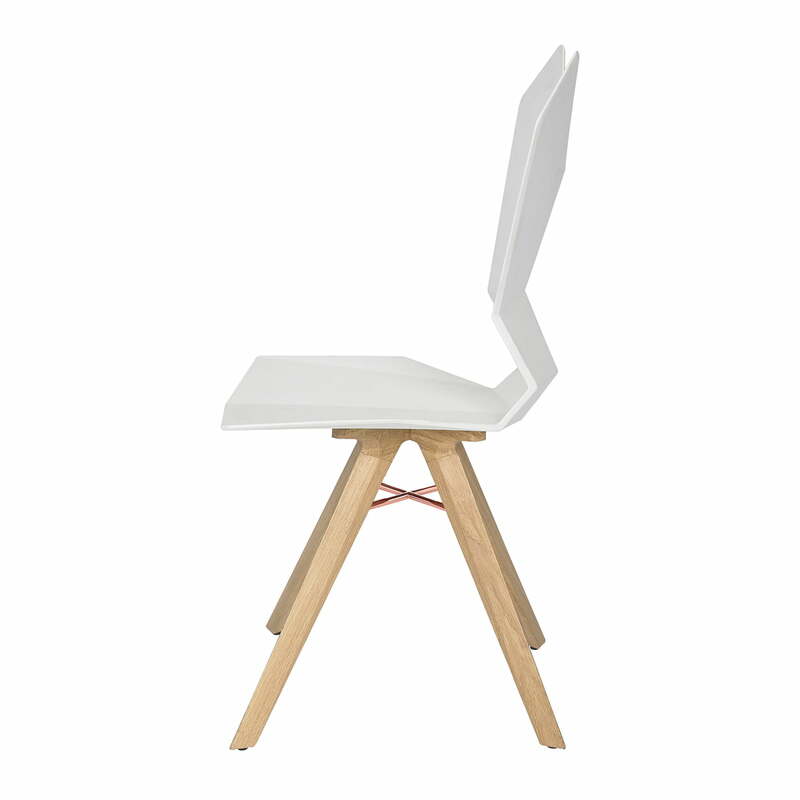 Side view of the Tom Dixon - Y Chair in white / natural oak. The ergonomically designed chair offers a seat depth, which invites you to feel good and relax. Back view of the Tom Dixon - Y Chair with black seat sehll and natural oak legs. The black seat shell stands in great contrast to the four legs made of oak.